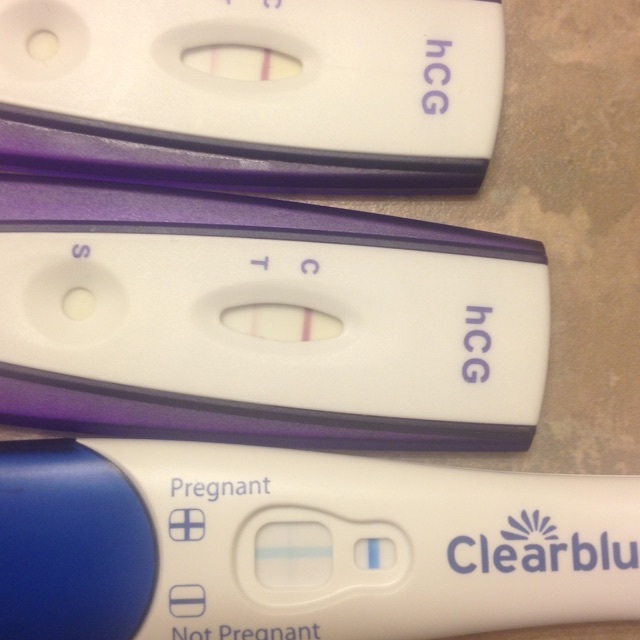 Here are all three test I took tonight! On the clear blue you have to zoom in a little to see the other line but it's there! Faint but visible! Are clear blues good to go by? The others I know are cheap but both came up positive!